Chapel Farm Premium Dog Food is delighted to welcome Lee Hartis to the team of dog handlers sponsored by Chapel Farm. 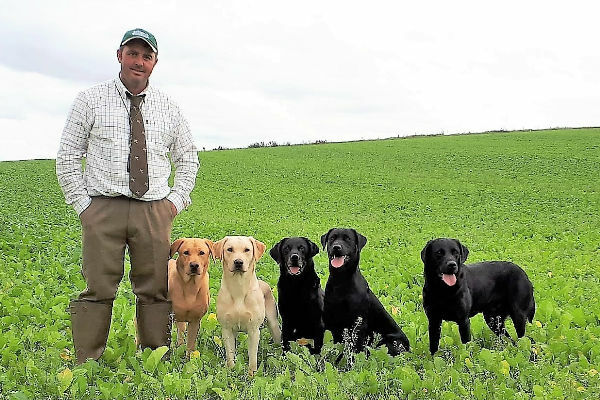 For the last few months Lee has been feeding his Leacaz Gundogs on Chapel Farm and is exceptionally happy with the condition, stamina, alertness and overall health of his dogs on this range. To find out more about Lee and others sponsored please visit the “Who We Sponsor” page which is accessed via the “About Us” tab on the menu bar above. We wish all every success in future competitions. Welcome to New Sponsored Handler Mike Jones. A Great Turn Out at Sheepdog Trial. Good Luck to all at the Retriever Championship.